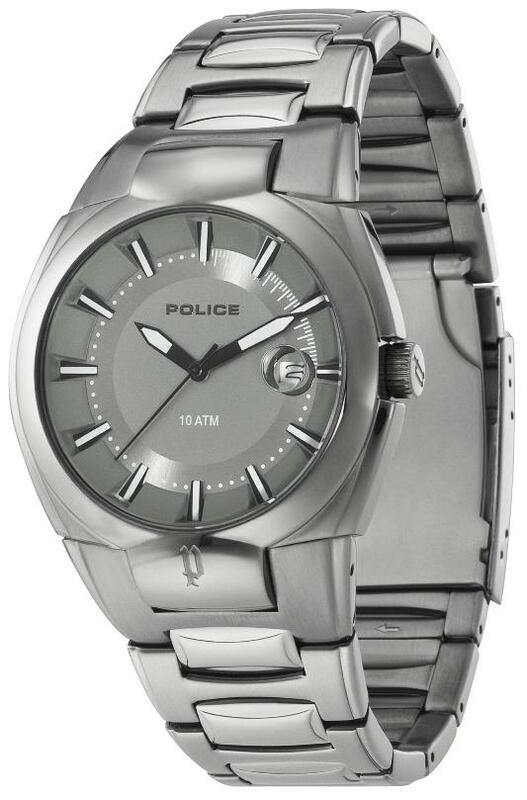 The PROFILE timepiece from Police sports a devilishly handsome look. 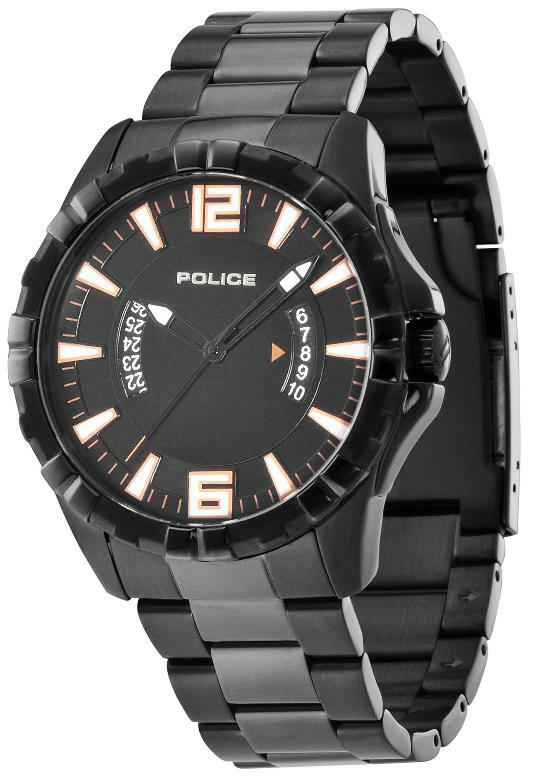 The watch’s crisp black dial and bracelet, its contrasting white numerals and markers, and its orange accents combine to make the Police PROFILE strikingly bold. 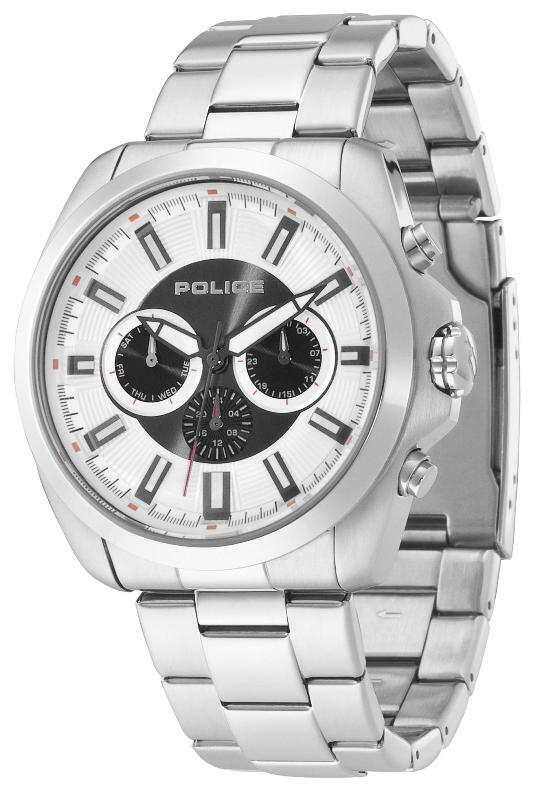 The Police PROFILE also features three hands, as well as month and date in the 3 o’clock and 9 o’clock positions respectively. 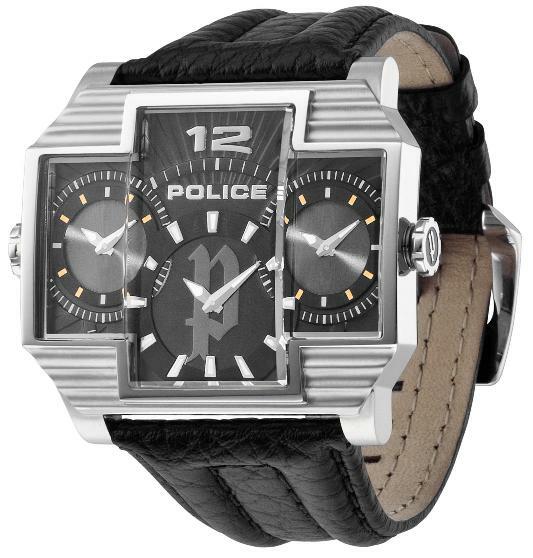 The HAMMERHEAD Collection from Police is a slick timepiece that exudes masculinity and power. The watch is defined by its dark overtones, ranging from its deep textured leather strap with slate stitching, to its stamped interface. The piece’s three dials distinguish the HAMMERHEAD watch from other “like” models. Two symmetrical dials are situated to the right and left of the interface, with a larger austere dial protruding above the other others on a central platform.